National Hockey League (NHL) deputy commissioner Bill Daly appears to have ended any prospect of players from the world’s largest franchise participating at February’s Winter Olympic Games in Pyeongchang. It follows Russian reports that an alternative schedule had been drawn up for the NHL season just in case a last minute deal had been reached. NHL players have featured at every Winter Olympics since first appearing at Nagano 1998. But an International Olympic Committee decision to stop paying transportation and insurance costs prompted the breakdown in talks. 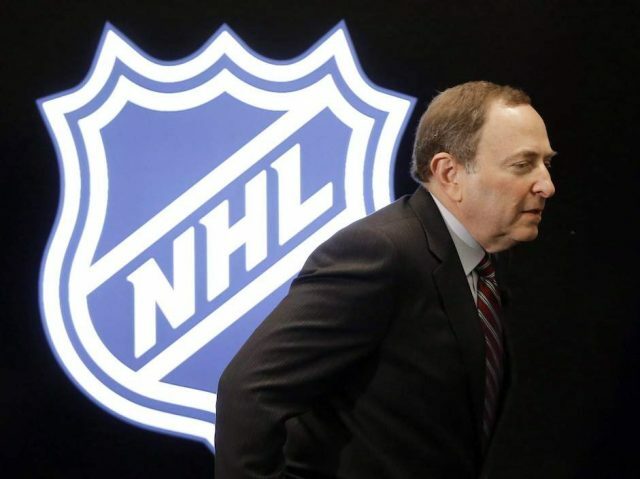 NHL Commissioner Gary Bettman announced in April that their athletes would not officially be allowed to compete at the event in South Korea. “There is not an alternative schedule,” Daley told The Hockey News. “Having NHL players participate in the 2018 Winter Olympic Games is not an available option. “All of the Federations are planning appropriately for constructing teams that will not include NHL players. Hockey Canada are expected to unveil plans for Olympic selection this week. Other countries, including United States, are expected to follow suit soon. It is expected that their teams will predominantly consist of minor league or European-based players who are only assembled shortly beforehand. However, it is possible that some NHL players will insist on competing despite the lack of a break or agreement. Russia and Washington Capitals star Alexander Ovechkin is among those to have vowed to do this. International Ice Hockey Federation President René Fasel said in May that a final decision on whether players will take part must be made by mid-July at the absolute latest.